Statoil has awarded two new, long-term contracts with estimated value of NOK 11 billion for insulation, scaffolding and surface treatment services to Beerenberg Corp AS and Prezioso Linjebygg AS. They will provide services to 20 of the company’s 29 installations on the Norwegian continental shelf (NCS) when the contracts take effect. Carried out on all installations on the NCS, as well as all onshore plants in Norway, these services have ripple effects in many parts of the country. The Polarled-pipeline will export gas from Statoil's Aasta Hansteen field in the Norwegian Sea to the Nyhamna gas plant. Statoil has awarded Marubeni Itochu/JFE the fabrication contract for linepipe to the Polarled project, while Wasco has been awarded the coating contract, and Allseas the pipe-laying contract. The coating contract includes the establishment of a new production base in Mo i Rana, Northern Norway. "The Norwegian Sea is an exciting area on the Norwegian continental shelf. Polarled underpins this. 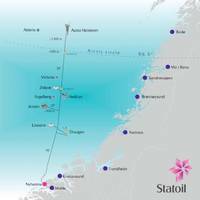 Statoil has awarded contracts for new light well intervention (LWI) vessels. These “category A” units will contribute to increased recovery from Statoil’s approximately 500 operated subsea wells on the Norwegian continental shelf (NCS). These purpose-built vessels are used for performing light well interventions, well operations and well maintenance without a riser-based system. Statoil can reduce well intervention costs by about 60% by utilising a LWI vessel instead of a conventional rig. The contracts are worth a total of NOK 9.4 billion. Statoil is preparing an invitation to tender for a new type of drilling rig for mature fields on the Norwegian continental shelf (NCS). The new rigs, known as category J, will be jack-ups designed by the industry on behalf of Statoil. 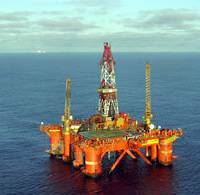 Statoil will propose for licence groups to take on ownership of these rigs. In order to realise the full potential of the NCS, increasing drilling activity on mature fields is important. Lower rig rates, greater drilling efficiency and access to rigs are key factors to meet this challenge. The new rig concept is designed to meet these requirements. Statoil and its partners in the Troll licence on the Norwegian continental shelf (NCS) decided in September to invest NOK 11 billion in two new compressors on Troll A. The two new compressors will enable Statoil to produce gas even faster and accelerate production at the Troll field by allowing for production with reduced wellhead pressure. The compressors will enable the production of gas from the field all the way until 2063. "The new pre-compressors on Troll A will be powered by electricity supplied from Kollsnes. Statoil has signed a contract with North Atlantic Norway to hire the West Hercules rig which can be used for exploration and production drilling internationally and on the Norwegian continental shelf (NCS). 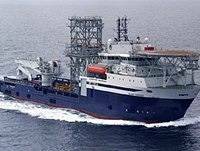 Statoil has signed an agreement with North Atlantic Norway Ltd (Norwegian Branch), a company in the Seadrill group, for hire of the West Hercules rig for use on exploration prospects and production licences. The semi-submersible rig will be deployed to start drilling from Q3 2012. Statoil has awarded the contract for construction of two new drilling rigs for use on the Norwegian continental shelf (NCS) to Songa Offshore. The contract for the two category D rigs is worth an aggregate USD 2,47 billion for a fixed eight-year charter period. 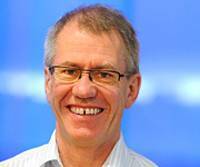 "Stepping up our industrialisation of the NCS we are very pleased to announce that Songa will help realise our industrial approach and we wish to give them recognition for their long-term perspective on this partnership", said Jon Arnt Jacobsen, Statoil's chief procurement officer. 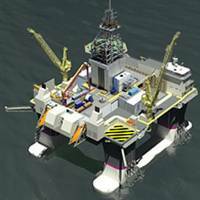 Statoil is to choose Samsung Heavy Industries for construction of the topsides for the Valemon platform. The contract is worth an estimated NOK 2.3 billion. The award has taken place in wide-ranging international competition among pre-qualified suppliers. “We’ve awarded the assignment to build the Valemon topsides to Samsung Heavy Industries,” says Jon Arnt Jacobsen, chief procurement officer in Statoil. “We have good experience with this supplier which also has a good track record in HSE. Statoil has awarded Island Offshore a framework agreement for a new light well intervention (LWI) vessel on the Norwegian continental shelf (NCS). The third of its type in Statoil’s portfolio the vessel will help reduce the costs of well interventions and enhanced oil recovery. Statoil has awarded Island Offshore a framework agreement for light well intervention (LWI) services from their vessel Island Constructor. The duration of the framework agreement is three years, with an option to extend for another year. Statoil is sending out an invitation to tender for a new type of drilling rig. It is specially-designed by the industry on behalf of Statoil for use on mature fields on the Norwegian continental shelf (NCS). The purpose is to make drilling and completion of production wells less expensive, more effective and safer, and thereby boost oil recovery. Discoveries on the NCS are getting smaller and it is becoming more important to increase drilling activity in mature fields to attain the full potential of the NCS. To meet this challenge, lower rig rates, greater drilling efficiency and access to rigs are key factors. “The rigs delivered to the NCS in recent years were first and foremost constructed for operations in deep water,” says Jon Arnt Jacobsen, chief procurement officer in Statoil.